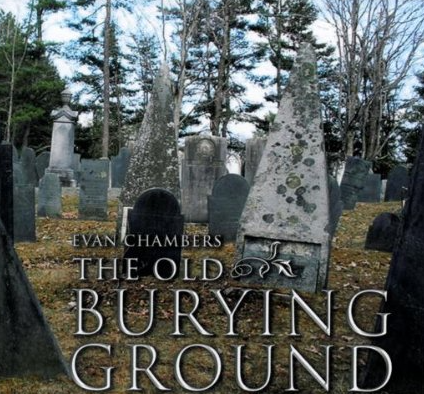 The Old Burying Ground consists of settings of epitaphs on tombstones that I gathered in Jaffrey Center NH in 1998, and on a trip to Portsmouth NH in 2003. I’ve always been drawn to cemeteries–walking in them for many years, I’ve made a meditation of reflecting upon how lives appear and disappear in this world. Even the barest information provided on a gravestone provides an excellent opportunity to confront both the inevitability and the simple fact of death, which is one of the central truths of life on earth. The gravestones in New Hampshire seem to be particularly compelling, though, and often directly challenge the reader to engage with the sometimes frightening, sometimes more peaceful aspects of our mortality and the grief we leave behind when we die. I had a teacher once who insisted that to sing for someone didn’t mean simply to sing while someone listened, but rather to sing for them, or in their stead. This carries the idea of putting yourself in someone else’s place, and the singer in these pieces does, in fact, stand in for people who have been dead quite a long time. When I imagined the voice that these early 19th century residents of rural New Hampshire would sing with, it was hard for me to imagine them breaking out into song in the voice of an Italian bel canto Tenor. I needed to find a style of writing that would create a feeling of naturalness, so I wrote the songs to be sung by a Singer of any stripe, although the songs are informed by a mixture of a number of styles ranging from Anglo-Irish balladry to 70’s pop music. In spite of the span of time across which these messages reach us, there is not so much to separate us from these voices coming up out of the ground. We are headed for the same place after all–this fact may provide the warnings and comforts offered herein with an unexpected urgency and currency. The first set of songs was completed in 2003, and a second book in 2007. An orchestral version of the songs was premiered in December 2007, and released on Dorian Sono Luminus in 2010. Evan Chambers (b. 1963, Alexandria, Louisiana) is currently Professor of Composition at the University of Michigan. His 2007 orchestral song cycle The Old Burying Ground was performed in Carnegie Hall in February 2008; a recording is available on Dorian/Sono Luminus. Chambers’ compositions have been performed by the Cincinnati, Kansas City, Memphis, New Hampshire, and Albany Symphonies, among others; has also appeared as a soloist in Carnegie Hall with the American Composers Orchestra. He won first prize in the Cincinnati Symphony Competition, and in 1998 was awarded the Walter Beeler Prize by Ithaca College. His work has been recognized by the American Academy of Arts and Letters, the Luigi Russolo Competition, Vienna Modern Masters, NACUSA, and the American Composers Forum. He has been a resident of the MacDowell Colony and Yaddo, and been awarded individual artist grants from Meet the Composer, the Arts Foundation of Michigan and ArtServe Michigan. His composition teachers include William Albright, Leslie Bassett, Nicholas Thorne, and Marilyn Shrude, with studies in electronic music with George Wilson and Burton Beerman. Recordings have been released by Albany Records, the Foundation Russolo-Pratella, Cambria, Clarinet Classics, Equillibrium, and Centaur. His solo chamber music disk (Cold Water, Dry Stone) is available on Albany records.